Steve St Angelo: Gold & Silver Miners Running Out of Ways to Cut Costs - Wall St. for Main St.Wall St. for Main St.
Jason Burack of Wall st for Main St had on gold and silver mining and oil and energy expert, Steve St. Angelo of the SRSRocco Report http://srsroccoreport.com/ on for an in depth interview. During this 50+ minute interview, Jason asks Steve about the costs to operate a modern primary gold and primary silver miner. Jason and Steve discuss how since ore grades have fallen so much over the decades how they have made it difficult for miners for have high margins. Jason asks Steve how miners have survived in the past when gold and silver were below their all in production costs in the mid 90s. Steve cites one miner, Coeur D’Alene Mining, who sold hundreds of millions more shares diluting shareholders to survive. Jason and Steve discuss whether miners can sell many more shares in this environment. Jason doesn’t think that’s likely considering what he hears from his contacts in Toronto and Vancouver where miners normally get financed how there’s basically no debt or equity available anymore, except in small amounts at penalty/punitive rates. Jason asks Steve about primary copper miners and what will happen to the gold and silver by-product when the hedges of copper miners come off line and copper miners go bankrupt or shut down mines. 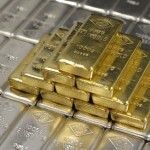 Steve thinks this could cause a supply squeeze in the near future unless gold and silver prices rise. Jason and Steve talk about the fundamentals of the market how demand for physical is rising, while the paper price is controlled and how miners are struggling mightily financially just to not go bankrupt soon. To wrap up the interview, Jason and Steve discuss the oil and energy markets, peak oil and how the fracking boom is about to turn into a fracking bust because US shale oil companies are not making a profit without their hedges, they have too much debt and the energy returned on energy invested (EROEI) in shale oil is poor compared to other oil production. Steve and Jason also talk about solar power and how it’s probably not a panacea to replace oil and natural gas, at least not until the battery problem is solved. Most rare earths mining is done in China to produce solar panels, making them not as environmentally friendly as people think and silver industrial demand should grow the more solar panels are used.